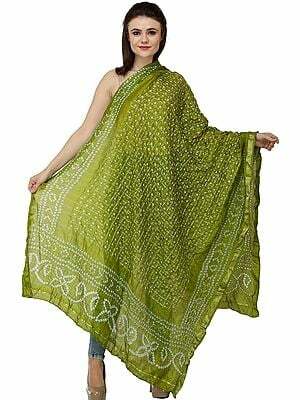 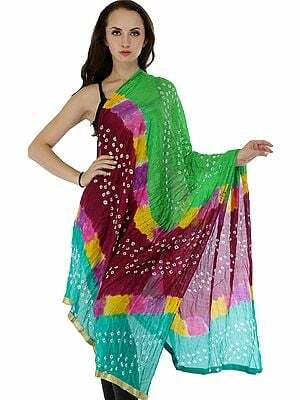 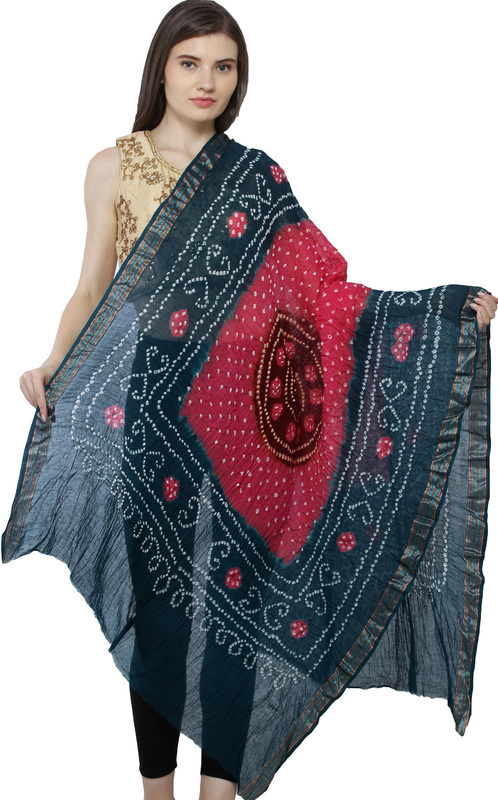 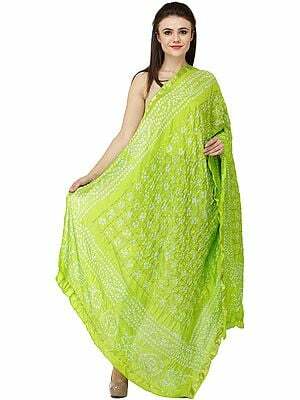 Every lover of ethnic fashion should have a collection of these flowy folk dupattas. 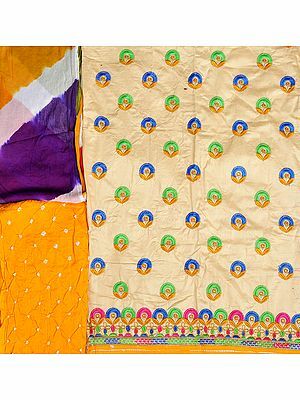 Made from cotton so pure it is sheer and tie-dyed using techniques endemic to the Kutch region, this dupatta comes in a series of dark pastels that would go amazingly well with a wide palette of Indian suits. 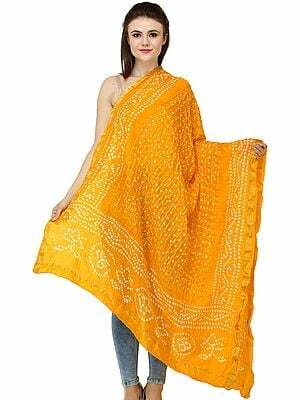 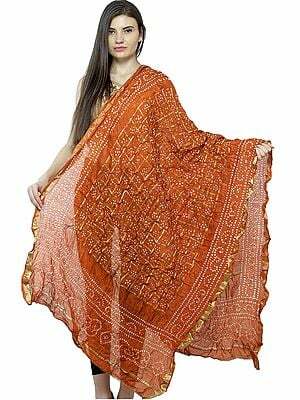 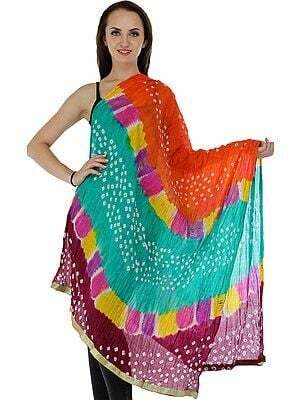 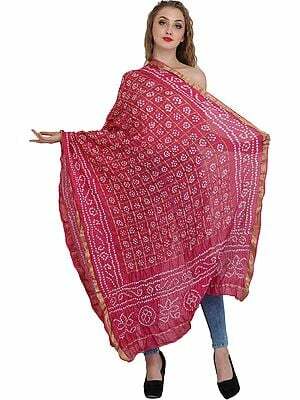 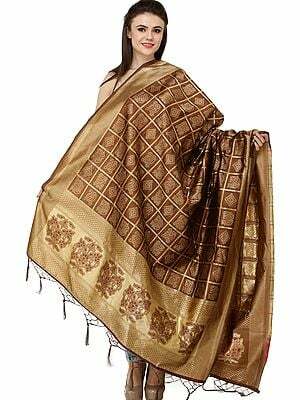 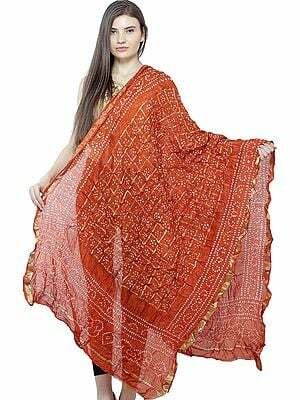 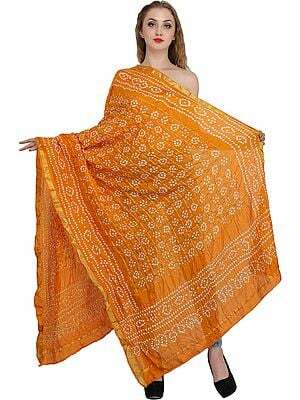 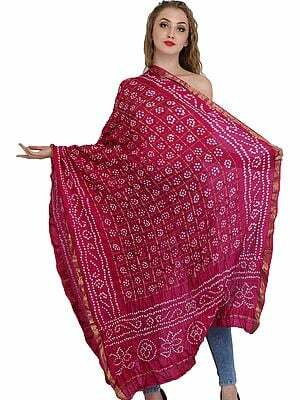 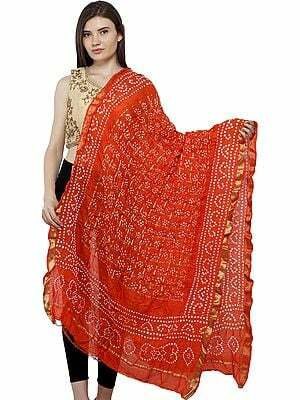 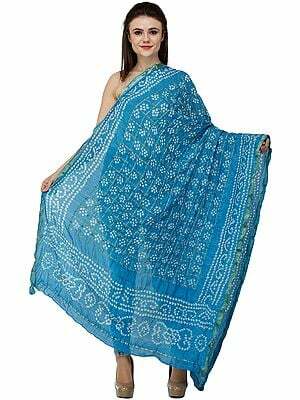 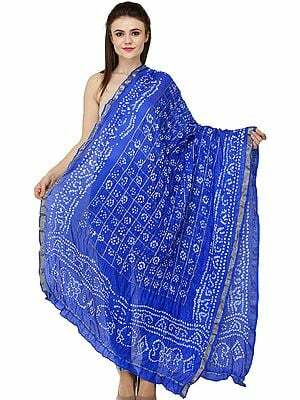 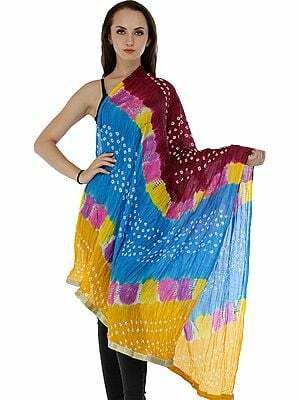 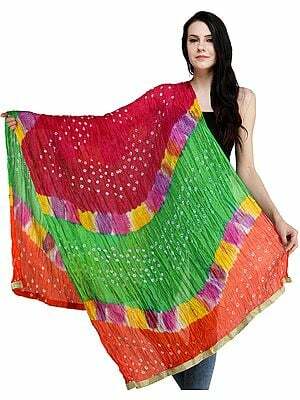 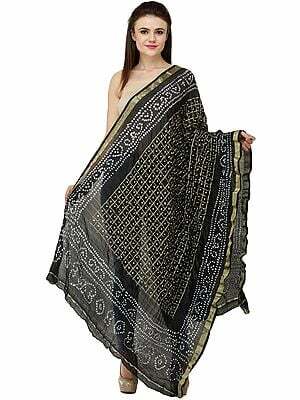 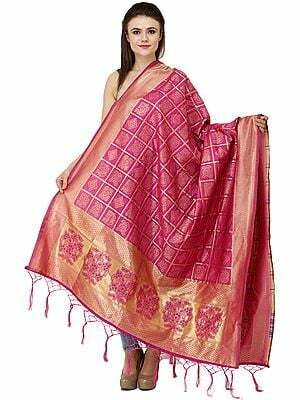 The bandhani on this dupatta is irresistibly pretty, having been executed skilfully and finished with great care.